We used this for extra seating on a lanai. it went together well, but you do need two people. It's stable and fits our tall chairs perfectly. We are happy with this purchase and recommend it for others. Who says outdoor patio furniture has to be boring and bland. 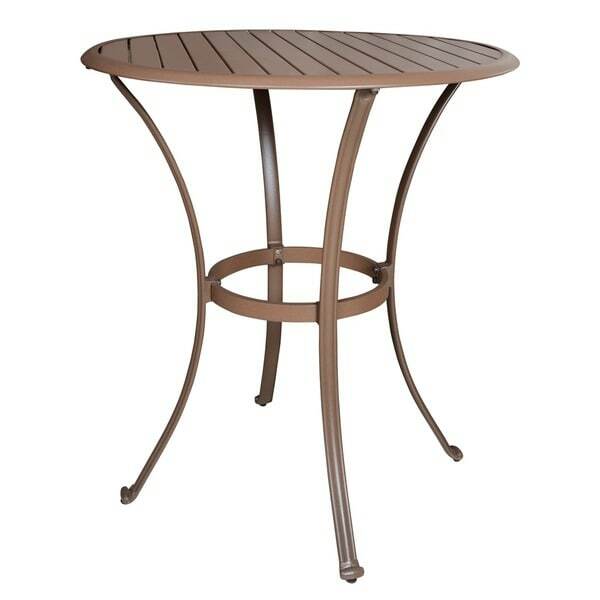 Part of the Island Breeze collection by Panama Jack, this pub table incorporates a tubular extruded aluminum frame in a unique powder-coated espresso finish that will not rust. The table top consists of slatted aluminum, making it long-lasting and waterproof. With a versatile design, it will stand out and impress while offering many conveniences and value.